Amanda Briscoe is a 2017 Doctor of Pharmacy (PharmD) candidate at Texas Southern University (TSU) College of Pharmacy and Health Sciences in Houston, Texas. She’s been selected for this award in recognition of her leadership and dedicated service to the community and the profession of pharmacy. Her pharmacy student leadership skills are displayed as she was the founding President of the Industry Pharmacist Organization (IPhO). She held many offices within the Student National Pharmaceutical Association (SNPhA), including President and Executive Consultant. Other organization involvement include Phi Lambda Sigma Pharmacy Leadership Honor Society Alpha Pi Chapter, and Kappa Psi Pharmaceutical Fraternity, Inc. Delta Theta Chapter. In her commitment to academic excellence, she has research experience on the topic of “Reconstitutable tacrolimus for Oral Administration: A study of long-term stability and comparison to non-standardized compound suspensions,” with Memorial Hermann Cancer Center. Amanda’s leadership and outstanding academic achievements have gained her many honors, awards and accolades. She received Special Congressional Recognition from the Pharmacy Leaders Society, 1st place in the TSU-TPA OTC Competition, the SNPhA Endowed Scholarship and Wilbert E. Bluitt Endowed Scholarship. Her community outreach is extensive through various health fairs and awareness initiatives that include a College of Pharmacy Flint Water Drive and as she’s fluent in Spanish she organized 13 St. Ambrose Flu Clinics which led to over 1800 vaccinations to the uninsured Spanish-speaking community over the years. In addition she’s coordinated AHA Health Fairs at South Main Baptist, the Prince of Peace Summer Health Expo, and led a panel to educate black youth on National Black HIV Awareness Day. Sally Enemchukwu, BS in Biology is a 2017 Doctor of Pharmacy (PharmD) candidate at Texas Southern University (TSU) College of Pharmacy and Health Sciences in Houston, Texas. She’s been selected for this award in recognition of her leadership and dedicated service to the community and the profession of pharmacy. Her pharmacy student leadership skills are executed brilliantly in her current role as President of the African Pharmacy Student Association (APSA) where she teaches and leads pharmacy students during frequent events requiring blood pressure, BMI, and diabetes screenings. She has excelled in leadership roles as the Co-Chaplain of Kappa Psi Pharmaceutical Fraternity, Inc., and Membership Vice President of American Pharmacists Association–Academy of Student Pharmacists (APHA-ASP). Throughout Sally’s pharmacy education, she’s been actively involved in several organizations, some of which include American Society of Health–System Pharmacists (ASHP), Student Society of Health–System Pharmacists, Gulf Coast Society of Health–System Pharmacists, Phi Lambda Sigma Pharmacy Leadership Society, Student National Pharmaceutical Association (SNPhA), and Texas Pharmacy Association (TPA). In her commitment to academic excellence, her presentations topics include Ebola Virus, Diabetic Polyneuropathy, OTC Oral Pain Medications, and Mental Health Disorders. She’s on the cutting edge of the evolving role of pharmacists, as she recently developed a business plan in pharmacy management to establish a medication therapy management service that caters to mental health disorder patients. Additionally, she presented a poster at this year’s 2015 ASHP Midyear Clinical Meeting, entitled “Treatment experience with triple negative breast cancer at a comprehensive cancer center.” Her community outreach is extensive through various health fairs and awareness initiatives that include the 1st Annual City Wide Health Fair at Hometown Heroes Park/Flu Clinic with Walgreens, National Drug Take-Back with the Texas DEA at UTMB Specialty Center, Green Light to Healthy Living Health Fair sponsored by Congressman Al Green, 8th Annual Art with Heart 2015 with San Jose Clinic, 2nd Annual Texas Southern University College of Pharmacy Health Screening, Mount Ararat Baptist Church Community Health Fair, Keeping Abreast of Your Health Community Health Fair, Sam’s Club/Student National Pharmaceutical Association Health Fair, Hip Hop for HIV Awareness, and many more. Sally Enemchukwu reigns as the 2013 Texas Southern University College of Pharmacy & Health Sciences Class of 2017 Homecoming Queen. Brittany G. Mani, BS in Applied Health Science is a 2016 Doctor of Pharmacy (PharmD) candidate at Howard University College of Pharmacy in Washington, DC. She’s been selected for this award in recognition for her extensive leadership, and dedicated service to the pharmacy profession and community. One of Brittany’s most recent leadership experiences includes being on the Executive Board of the International Pharmaceutical Students’ Federation (IPSF) as the Chairperson of Pharmacy Education. Serving in this role led her to the United Nations Headquarters where she was able to initiate unconventional global pharmacy education opportunities for students during the 68th session of the World Health Assembly in Geneva, Switzerland (May 2015). Brittany has proven to be an extraordinary international pharmacy student leader as well as a local leader on the campus of Howard University. She excelled in leadership as President of the Drug Information Association (DIA) where she established the bylaws and cause of the organization to be the Global Genes Project, an organization in support for patients with rare diseases, assisted in co-chartering the chapter, selected the first executive board, served as the liaison between the chapter and DIA Global Staff, and much more. Throughout her pharmacy education, she has been actively involved in several other organizations through a leadership position, including the American Pharmacists Association-Academy of Student Pharmacists (APHA-ASP), and the Delta Kappa Chapter of Kappa Psi Pharmaceutical Fraternity, Inc. Other organization involvement includes the Alpha Kappa Alpha Sorority, Inc., Association of Black Health-System Pharmacists (ABHP), Phi Lambda Sigma Pharmaceutical Leadership Society, Howard University College of Medicine Gospel Choir, and several other pharmacy organizations. Her scope of pharmacy research, presentations, and workshops include topics related to HIV Antiretroviral Treatment, Peripheral Vascular Disease, Atrial Fibrillation & Benign Prostate Hyperplasia, Cystic Fibrosis Treatments, Inter-Professional Education (IPE), and Navigating the Transition From Science-based Education to Practice to name a few. Her research and presentations have made her a pharmacy globetrotter, with presentations in Deerfield, IL, Düsseldorf, Germany, and Hyderabad, India. Caroline Bett graduated from William Paterson University in Wayne, New Jersey with a Bachelor of Science in Chemistry. After working for 4 years as a research chemist, she followed her dream to enhance her knowledge in healthcare by enrolling in California Northstate University in Elk Grove, CA. Her dedication to serving others is evident through her volunteering and community outreach efforts. She is instrumental in hosting community health fairs, blood pressure screenings, and feed-the-homeless programs. She also participates in various flu clinics and continues to volunteer every week at the VA hospital. Throughout her pharmacy education, she has been actively involved in organizations such as the California Pharmacists Association (CPhA), the California Society of Health System Pharmacists (CSHP) and serves as a volunteer for the Association of Black Health System Pharmacists (ABHP). Some of her leadership roles include Vice President of membership for the American Pharmacists Association (APhA-ASP), as well as publicist for the Multicultural Association of Pharmacy Student (MAPS) – an association solely dedicated to promoting cultural diversity in pharmacy. She was also selected by the California Northstate faculty to join the CAPSLEAD (California Pharmacy Student Leadership) team. This is a team of 10 student leaders hand-selected by faculty to work on a joint research project and fully sponsored to attend a leadership training seminar. Some of the skills acquired during the seminar include leadership styles, teamwork, negotiation and conflict management. In addition to being placed on the Dean’s list, she has also won several awards at California Northstate University, including a Student Ambassador award, and an award for winning the 2014 APhA-ASP patient counseling competition. Her skills and passion for writing has led to her contributions in the writing of a new pharmacogenomics textbook chapter, as well as the publication of numerous drug monographs, drug class reviews and other types of healthcare articles. She has truly enjoyed the full pharmacy student experience, and is looking forward to the next challenge as she begins her career in the field of pharmacy. Chinonso Ezuedu is a Doctor of Pharmacy (PharmD) candidate at Texas Southern University (TSU) College of Pharmacy in Houston, Texas. He’s been selected for this award in recognition for his leadership and dedicated service to the community and the profession of pharmacy. In his current position as a Graduate Assistant/Student Instructor, he is able to assist instructors by preparing lessons, teaching classes, identifying the needs of individual students in their classes and helping those students improve their academic development, as well as monitoring the academic growth of student athletes. His research opportunities have allowed him to explore topics in Ophthalmic Pharmacology and STEM Education and Outreach. In the summer of 2009, he embarked on a once-in-a-lifetime study abroad experience at the University of Dar es Salaam in Dar es Salaam, Tanzania. Throughout his pharmacy education, he has been actively involved in several organizations, some of which include the African Pharmacy Student Association, TSU Academy of Student Pharmacists (ASP), TSU Student Government, Honors College, Debate Team and National Society of Collegiate Scholars. He has volunteered a significant amount of time to the Houston-area and TSU community. His current leadership roles include being Senator of TSU Student Senate and TSU Peer Tutoring Coordinator. He has also served as President of the Golden Key International Honors Society, President of the TSU Honors College, Secretary of the TSU Debate Team, and Chapter Fundraising Chair for the American Pharmacist Association at TSU. Chinonso’s commitment to academic excellence and leadership has gained him many honors, awards and accolades. He’s been on the Dean’s List with Distinction since the start of his collegiate endeavors in 2009, as well as being a yearly honoree for the President’s Leadership Scholarship, TSU Honors Program Scholarship, and TSU Debate Team Scholarship. His business skills were rewarded when he received 3rd place in Wal-Mart’s Business Plan Competition. In addition, he’s been honored as a Tom Joyner’s Foundation Scholar of the Week and received the National Society of Collegiate Scholars Merit Award. He was twice selected as a Fellow as the Thurgood Marshall College Fund-Teacher Quality Retention Scholar and was recently selected by his peers as runner-up in the Mr. TSU Competition. Shafaat Pirani is a graduate of the University of Florida with a B.S. degree in Nutrition Sciences. He is currently a Doctor of Pharmacy (PharmD) candidate at the University of South Florida (USF) College of Pharmacy. Shafaat is the first Pharmacy Operations Director in the founding of the University of South Florida BRIDGE Healthcare Clinic. The BRIDGE Clinic is a student-run, non-profit, free clinic offering services to the uninsured and underserved patient populations. BRIDGE stands for Building Relationships and Initiatives Dedicated to Gaining Equality. The goal of the BRIDGE Clinic is to create a health facility where patients are treated compassionately and cared for through the collaboration of medicine, physical therapy, social work, public health, and pharmacy providers. It harbors an inter-disciplinary, inter-professional environment of future healthcare professionals focusing improving patient outcomes by promoting collaboration and education to the respective students. Shafaat has taken the leadership role of helping to create the pharmacy services for the clinic, which includes medication reconciliation, new prescription medication counseling, device or technique training, screening patients for poly-pharmacy to prevent potential adverse drug reactions and educational services regarding disease state and medication therapy management. Shafaat is a member of the Student Society of Health-System Pharmacists, the American Pharmacists Association-Academy of Student Pharmacists (APhA-ASP), and the International Health Service Collaborative (IHSC). He is the current President of the Student National Pharmaceutical Association (SNPhA) USF Chapter. Lindsey L. Carter is a graduate of Florida A&M University with B.S. degree in Chemistry and Molecular Biology. She is currently a Doctor of Pharmacy (PharmD) candidate in the College of Pharmacy, as well as, an MBA degree candidate in the Stetson School of Business and Economics at Mercer University. Lindsey has also been active in global exchange experiences in Paris, France; Milan, Italy; and Buenos Aires, Argentina with a focus on business, languages, and Advanced Pharmacy Practice Experiences. Some of the research centers where she has been assigned have included: the Georgia Institute of Technology and the Sackler Institute at the New York University School of Medicine. Lindsey’s dedication to her profession has included membership in the Society of Critical Care Medicine (SCCM), American Society of Health-System Pharmacists (ASHP), and the American Pharmacists Association-Academy of Student Pharmacists (APhA-ASP). She is the Student Liaison to the American College of Clinical Pharmacy (ACCP), Chaplain of her chapter of the Student National Pharmaceutical Association (SNPhA), and the Inter-fraternal Council Representative of Kappa Epsilon (KE) Professional Pharmacy Fraternity. Lindsey is the recipient of the Hewitt W. Matthew Scholarship, Bo Harper Scholarship, the Tom and Elizabeth Perkins Scholarship, and Walgreens Diversity Scholarship. Other recognition of her efforts has included the Florida Academic Award and Distinguished Scholar Award. She is also an inductee into the White and Gold Honor Society and the National Society of Collegiate Scholars. Kayla Mackanin is a graduate of Florida State University with a B.S. degree in Biology. She is currently a Doctor of Pharmacy (PharmD) candidate at the University of South Florida (USF) College of Pharmacy. Kayla is Co-President of the International Health Service Collaborative (IHSC) where she has organized and executed medical mission trips to underserved communities in other countries. Her leadership is also exemplified as one of the founding student Pharmacy Directors of the USF BRIDGE Clinic. The BRIDGE Clinic is a student-run, non-profit, free clinic offering services to the uninsured and underserved patient populations. She is member of the Florida Pharmacy Association, American Pharmacists Association-Academy of Student Pharmacists (APhA-ASP). Cedona Watts is A graduate of the University of Alabama at Huntsville with a B.A. degree in Philosophy and a B.S. degree in Biology. She is currently a PharmD candidate in the School of Pharmacy at the University of Southern California (USC). Cedona is an active member of her local, state, national, and international professional organizations, which includes, among others, the American College of Clinical Pharmacy (ACCP), Academy of Managed Care Pharmacy (AMCP), Student National Pharmaceutical Association (SNPhA), the Student Society of Health-System Pharmacists, and the American Pharmacists Association- Academy of Student Pharmacists (APhA-ASP). She also serves as Co-Chair of the Association of Black Health-system Pharmacists (ABHP) Student Affairs Council. Cedona is a National Black Graduate Student Association Conference Fellow. She is the recipient of the William Lawson, Jr. Scholarship, Walgreens Diversity and Inclusion Scholarship, the Joyce and Harold Washington Endowed Scholarship, Dolly Harris Endowed Scholarship, and the CVS Diversity Scholarship. Cedona has been inducted into the Sigma Xi Research Honor Society, Alpha Epsilon Delta Honor Society, and the Delta Epsilon Iota Academic Honor Society. Sherry N. Williams is a graduate of Chicago State University with a B.S. degree in Biology. She is currently a PharmD candidate in the College of Pharmacy at the Chicago State University. Sherry is a member of the American Pharmacists Association- Academy of Student Pharmacists (APhA-ASP) – Chicago State University Chapter, American Society of Health System Pharmacists (ASHP), Illinois Council of Health-System Pharmacists (ICHP), Illinois Pharmacists Association, Student National Pharmaceutical Association (SNPhA), and the Student Society of Health-System Pharmacists. She is the recipient of the CVS/Caremark Charitable Trust Scholarship, National Pharmaceutical Association Foundation (NPhAF) Scholarship; and the Wal-Mart Pharmacy Scholarship. Ashley Scott is a PharmD candidate at Texas Southern University,College of Pharmacy and the Health Sciences. Ashley is a graduate of Mercer University with a B.S. degree in Biomedical Engineering. She is currently a PharmD candidate at Texas Southern University (TSU)College of Pharmacy and Health Sciences; President of the Student Society of Health-system Pharmacists, TSU Chapter; a student member of the Executive Committees of the Gulf Coast Society of Health-system Pharmacists and the Texas Society of Health-system Pharmacists (TSHP). She has been recognized with membership into the Phi Theta Kappa National Honor Society, Gamma Sigma Alpha Honor Society, Phi Lambda Sigma Leadership Honor Society and is the recipient of the Robinson-Vallejo Scholarship and Cardinal Health Leadership Scholarship. She is also a member of the American Society of Health-System Pharmacists, Gulf Coast Society of Health-System Pharmacists, Texas Society of Health-System Pharmacists and the American Pharmacists Association. Fungisai Mugwagwa is a 5th year PharmD student in the College of Pharmacy at Hampton University. She is a native of Zimbabwe, Africa and has been very active in community service work in both the US and in Africa. Her leadership roles have included President of the Hampton ASHP Student Chapter, President of the VSHP student chapter, and the Hampton Pharmacy Student Representative to the Dean. She is also a member of the ASHP, APhA, and NPhA. Kamile Whiters is a PharmD candidate at the University of Pittsburgh College of Pharmacy. Kamile holds a Bachelor of Science degree in Biology from the University of Pittsburgh. She is very active in a number of community service activities. She is the recipient of the John P. and Constance A. Curran Scholarship, Robert C. Smith Scholarship, Walgreens FlavoRx Customer Service Excellence Certificate, SNPhA Poster Presentation Award, UNCF-Merck Science Initiative Scholarship, and Howard Hughes Fellowship. Kamile is a member of the Golden Key National Honor Society, National Society of Collegiate Scholars, Phi Eta Sigma Freshmen Honor Society, Student Pennsylvania Society of Health-System Pharmacists, WPSHP- Western Pennsylvania Society of Health-System Pharmacists, SNPhA- Student National Pharmacy Association, APhA-ASP- American Pharmacist Association – Academy of Students of Pharmacy, Kappa Psi Pharmaceutical Fraternity, and Phi Lambda Sigma Leadership Society. Kendra Roundtree is a PharmD candidate from Mercer University Southern School of Pharmacy. She is in the process of completing her Masters of Business Administration degree at Mercer University, Stetson School of Business and Economics. 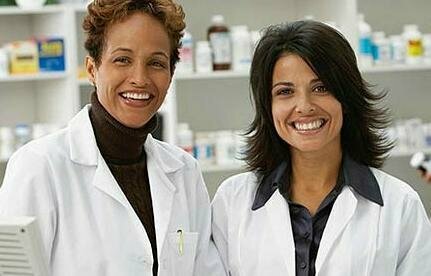 Kendra pharmacy internships and externships have included E-Z Med Pharmacy, CVS Pharmacy, Houston Medical Center, Solvay Pharmaceuticals Inc, and the Danish University of Pharmaceutical Sciences (Copenhagen, Denmark). Kendra is a member of American Pharmacy Association/Academy of Students in Pharmacy, American Society of Consultant Pharmacists, American Society of Health Systems Pharmacists, Atlanta Academy of Institutional Pharmacists, Georgia Society of Health Systems Pharmacists, Phi Lambda Sigma Leadership Society, Rho Chi Honor Society, and the Student National Pharmaceutical Association. Sophie Samuels is graduated of Seattle Central Community College, Seattle, Washington with an Associates of Arts degree. She is a Doctor of Pharmacy (PharmD) at Nova Southeastern University College of Pharmacy. Yemi Odetola is a PharmD candidate at the University of Texas College of Pharmacy Austin. She has served on several academic and student committees and has volunteered for many community service activities. Yemi has been honored with the National Pharmaceutical Association Scholarship, UT Pharmacy Alumni Scholarship, Walgreens Internship Award, and the Jacqueline E Hawkins Award for Academic Excellence. She is a member of the Phi Lambda Sigma Leadership Organization, Student National Pharmaceutical Association and the University of Texas Student Society of Health-System Pharmacists.